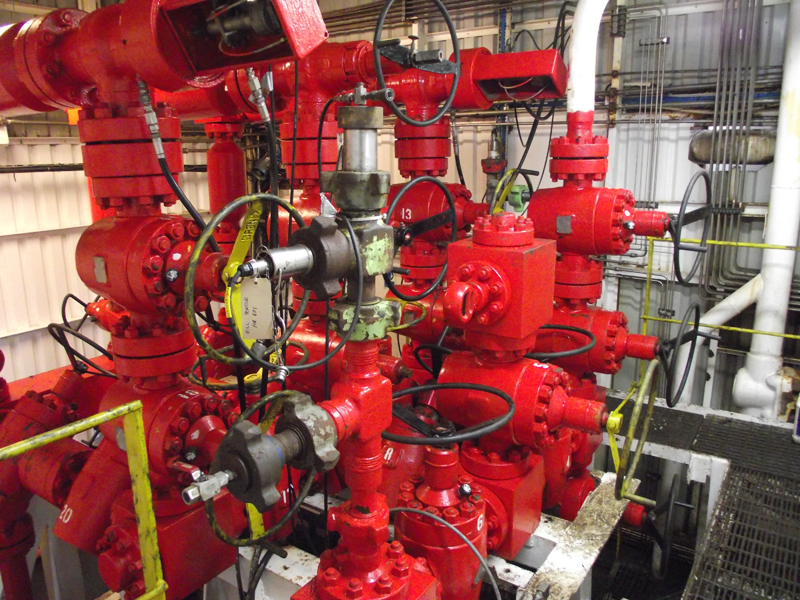 Our longest serving engineers have been involved with the industry for over 25 years and can claim to have designed and implemented some of the first successful electronic drilling systems still in use today. 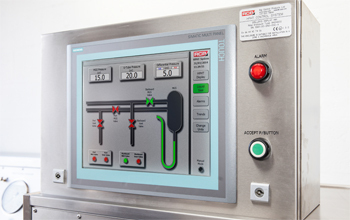 To this day RCP continue to supply innovative and advanced equipment. 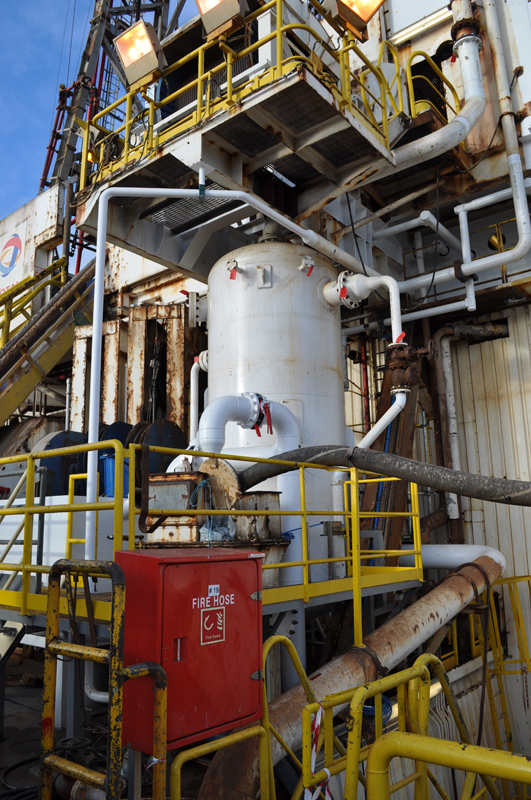 As a company RCP have been involved with the support, service and supply of oilfield equipment for well over a decade. 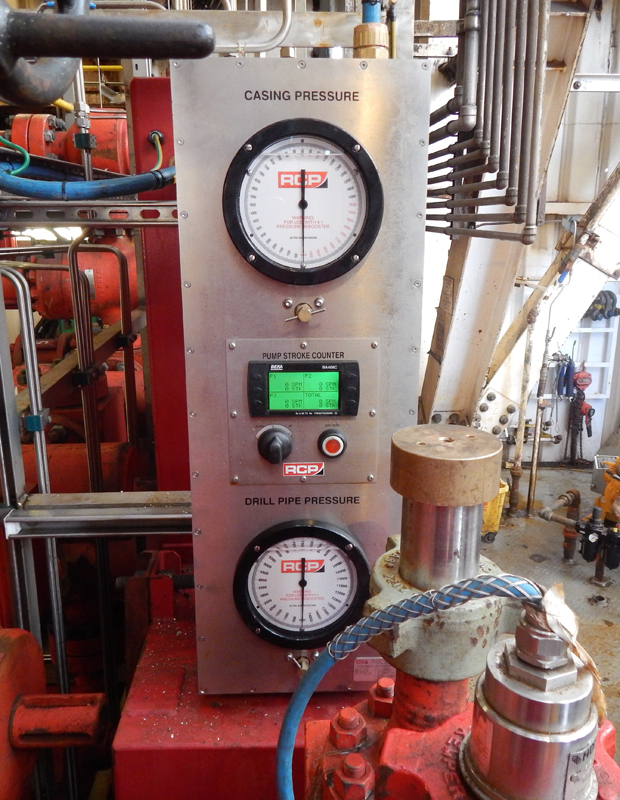 Without doubt, RCP are highly regarded as control systems specialists for drilling equipment. 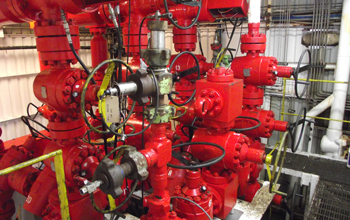 In brief, high pressure/high temperature (HPHT) wells are defined as those where the undisturbed bottom hole temp at prospective reservoir depth or total depth is greater than 300°F or 150°C, or a well requiring pressure control equipment with a rated working pressure in excess of 10000 psi. 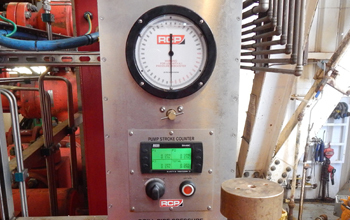 RCP understand that the operator needs to be able to rely on highly accurate and unambiguous information on how the well is responding, critical pressures, temperatures and flow returns are accurately monitored using a wide range of quality sensors. 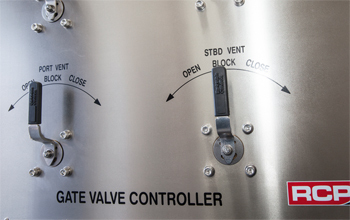 Systems are generally designed starting with a BOP sensor required to measure the pressure and temperature in the blow out preventer itself, critically any HPHT systems will monitor as a minimum choke, kill and buffer tank pressures and temperatures, liquid seal integrity within the Poor Boy Degasser and mud flow return would all be utilised to offer an excellent overview of the drilling process. 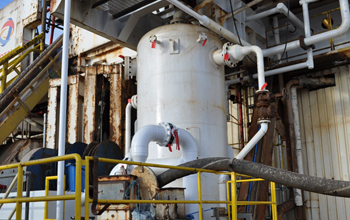 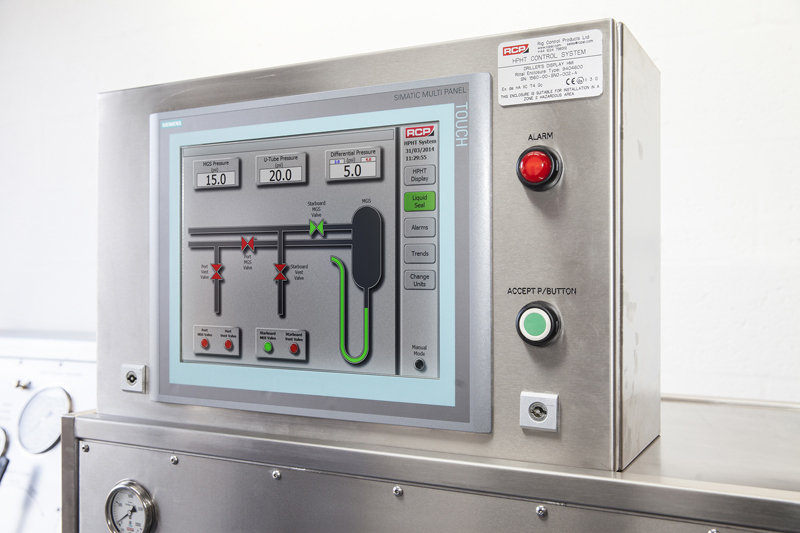 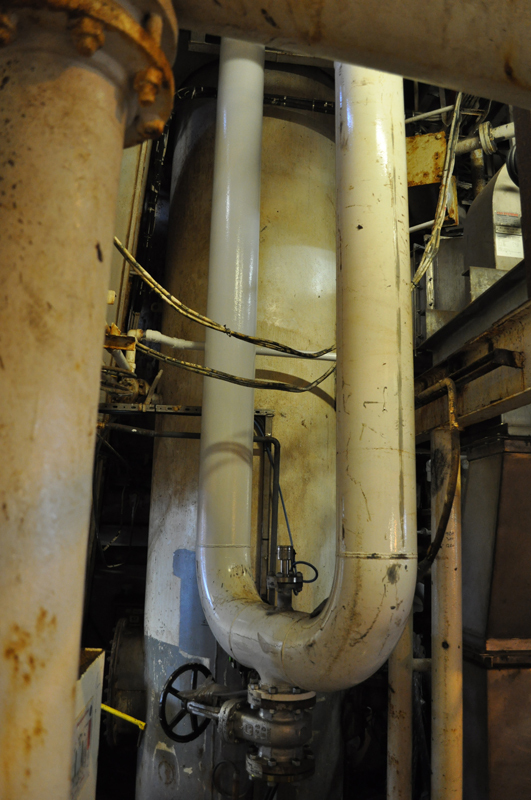 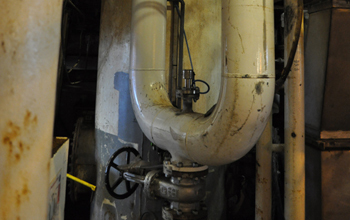 Should the operator experience a kick from the well the HPHT system can automatically initiate an overboard dump sequence to divert excess fluids overboard relieving the pressure in the manifold flowlines and allowing the operator time to regain control of the well. 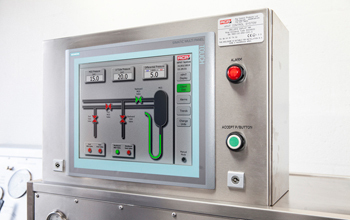 Glycol injection may also be used in this process preventing hydrates forming, again an automatic control option if required.